Commercial access ladders come in all shapes and sizes. 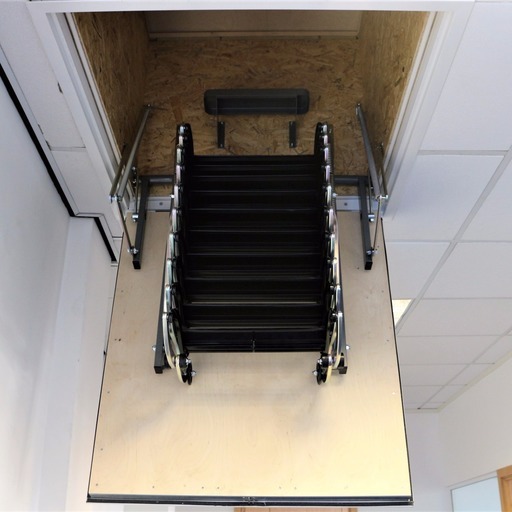 Our range of heavy duty concertina ladders below and perfect for properties that have high ceilings, suspended ceilings or have vertical wall access. Perfect for properties through-out Berkshire and London. Commercial properties generally have higher ceilings in comparison to most domestic properties. Combined with their concrete openings, most access ladders tend to be unsuitable to be installed for this purpose as they are not built for such long-term durability. Our commercial access ladder range ensures that all access points can be provided for. Completely bespoke, every height, width or weight load can be accomodated for. Access within commercial properties is required for plant rooms, air conditioning, lift maintenance or as access to the roof. 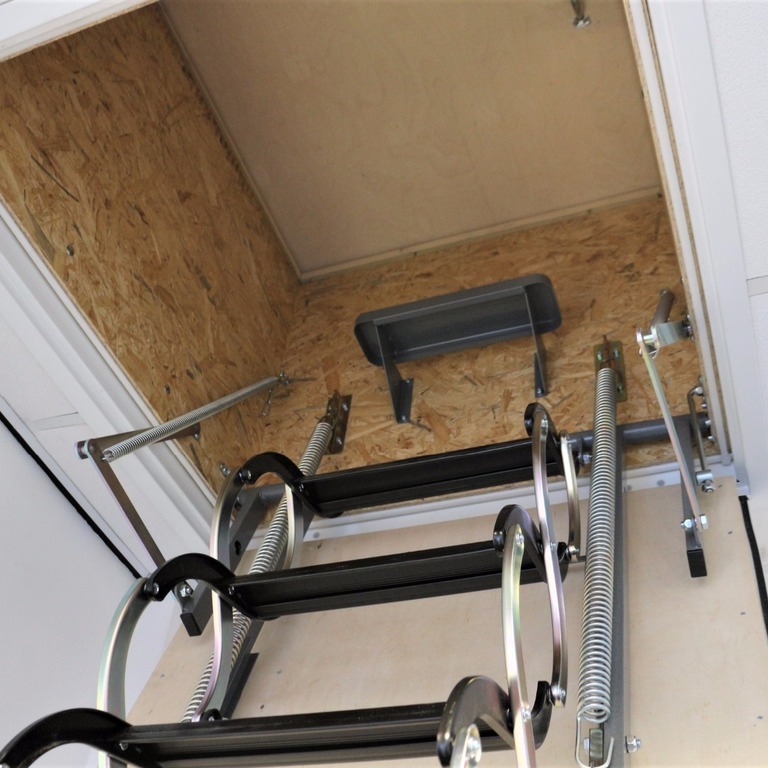 Our fantastic concertina ladder range accommodates for awkward access points, is lightweight and has a minimal working load of 150 KG (23.5 stone) - eliminating concern for injust for tradesmen and engineers regularly accessing the space for routine maintenance works. 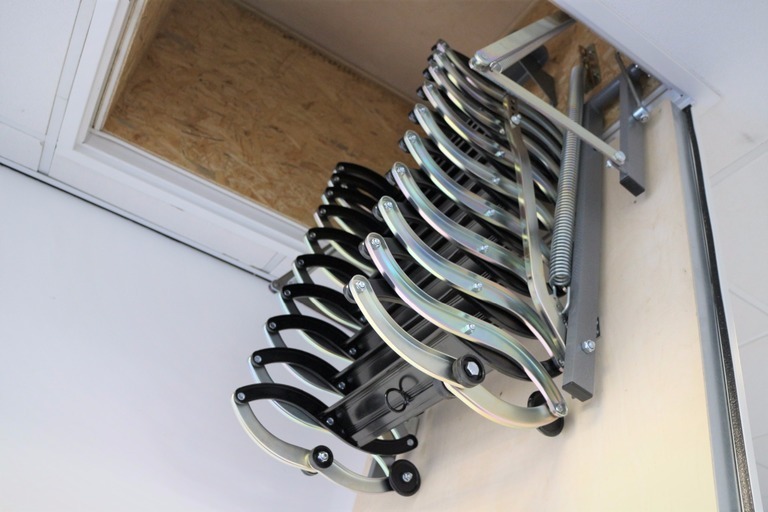 Complete with fire resistant hatches, our commercial concertina ladder range also have integral spring hardware systems and are fully counterbalanced. The trapdoor is thermally insulated, with galvanised sheet metal surrounding the unit as protection against rust. A ladder unit which is constructed to suit your existing opening. Lightweight and fully spring assisted. Unit secured using clamps/brackets to all four corners of the frame. Has a working load of 150KG//23.5 stone. Heavy duty, fully counterbalanced unit. Made to measure, complete with hatch and frame. 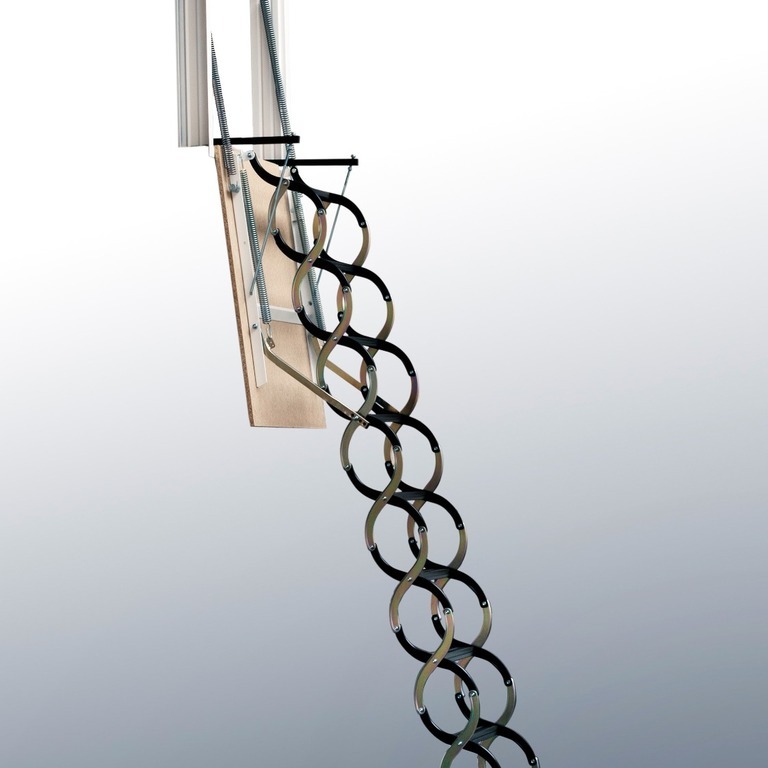 Supplied with an extra step within the box attachment for safe access between suspended ceilings. 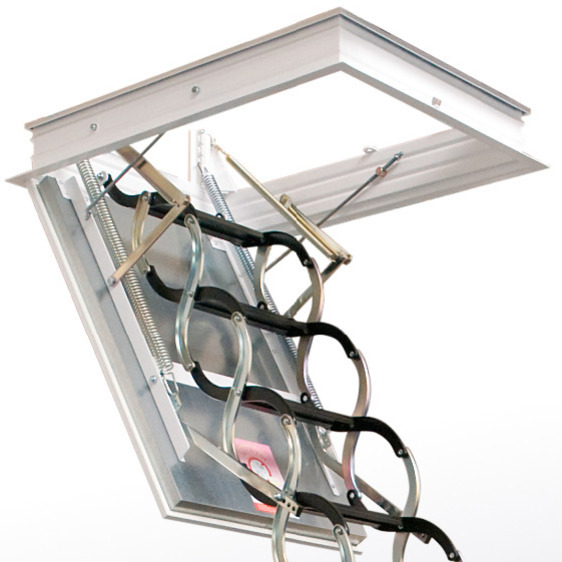 "I would highly recommend The Loft Access Company for any commercial access ladders. I have been working for LOL, Lifts of London for 15 years and it is common for sites that require maintenance on a higher level to have inadequate access. It is essential for insurance purposes for my installers to have a fixed ladder installed. 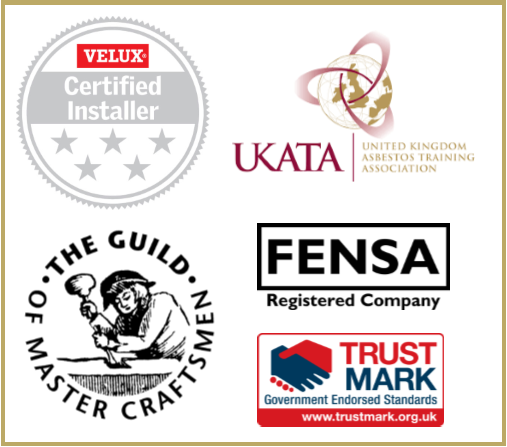 I regularly refer my customers/site agents to The Loft Access Company as they have an impressive range to suit many scenarios."